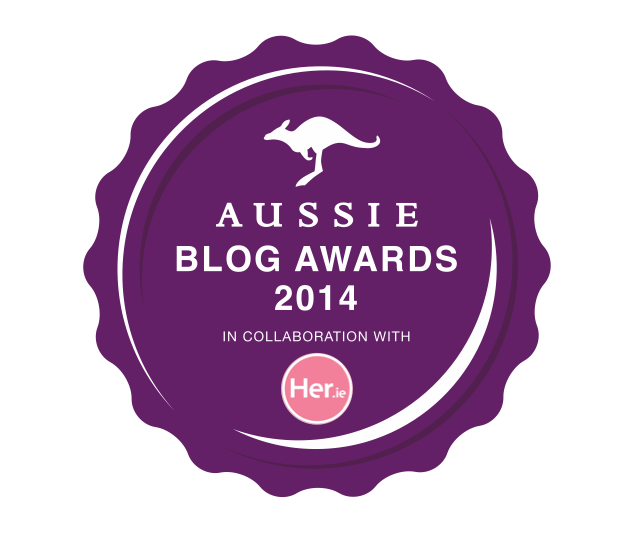 A few weeks before we got married, I found myself in a skin-related panic! That’s when I first discovered this face scrub, and I really wish I could find it now, but the review I read online was amazing – I literally got in the car and went out and bought it immediately! Within the first couple of uses (just like the review promised) I could already see a difference! My skin looked and felt healthier, and there were no breakouts! I find many scrubs to be too abrasive – leaving my skin feeling raw and red! That is definitely NOT the case with this one! It has tiny micro-beads, you barely even feel it as you massage it into your skin. There is also no tightness afterward, which happens to me even with mild soap, so that’s pretty impressive! And the icing on the cake, it smells so fresh and clean that I actually find myself looking forward to washing my makeup off!! If you haven’t tried this, pick it up the next time you’re out! I would describe my skin as sensitive, acne prone, problem skin and I swear by it — it is definitely worth trying! This is my first time using these, and I will definitely re-purchase! They came is VERY handy over Christmas, when we weren’t at home or when I was falling into my bed after a very long day out! 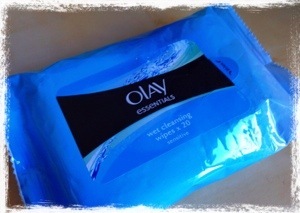 These wipes …wait for it… remove waterproof eye makeup!! And they don’t sting!! 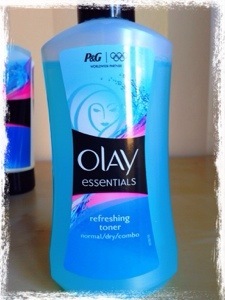 These promise to cleanse properly and not clog pores, very handy beside essential for sure! This is a strange one to talk about, because not that many people use toners anymore — I think they get a lot of bad press in the bloggy world! But my biggest skin issue, the one that bothers me the most is “shininess”! Powder is my best friend, but obviously at night I don’t want to put makeup on after washing my face! Toner is basically a way to balance out the oils in your skin. This one is not an astringent, so it doesn’t have that stinging and overly drying effect! It’s actually cucumber and aloe, rather than alcohol – so it’s gentle and perfect for sensitive skin types! 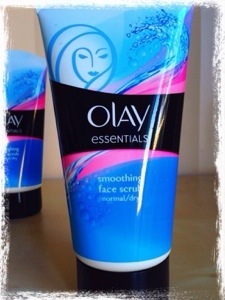 I always used Olay Beauty Fluid when I was younger, as it never caused breakouts with its non greasy formula! 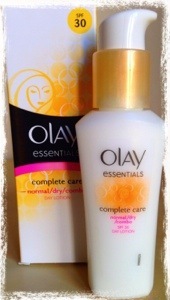 This is the first time I’ve tried this Complete Care Lotion, and I love it! It has SPF 30 in it, which usually means I look like I rubbed baby oil all over my face but amazingly it seems to have the same non-greasy formula as the beauty fluid! My skin feels super soft and hydrated all day and within the first couple of uses my skin already looks better. I look refreshed and happier to go without makeup! I’m absolutely delighted with my Olay stash, if you haven’t tried this range or you’re looking for a “miracle” drugstore product, definitely give this stuff a try!